That's a big FW. I like the angle you got! I like the angle you have in this shot. Very nice! yes great point of view! Very cool shot Brian. You know it's really odd. 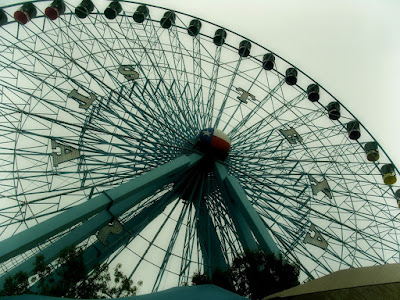 When I was a kid I rode on one of the largest ferris wheels in the world. It was in Idaho overlooking a pretty popular lake there. Now I have no interest of being up there. Funny how those things change.